A British literary agent offered a series of tips of how to entice an agent, what specific steps to take on doing just that, pitfalls to avoid and sometimes it just makes sense for an author to go directly to a publisher without one. 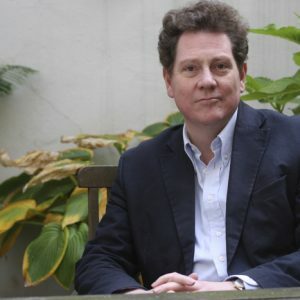 Andrew Lownie, a biographer himself on writer John Buchan and spy Guy Burgess, spells out the steps on his website, http://www.andrewlownie.co.uk/, including how and what to submit. Speaking Sunday morning May 21 at the 2017 Boston Biographers International conference, “the more you can give [in terms of chapters], the easier for the agent to decide if he/she will represent you.” He repeated several times during the two-hour session the first three chapters are best to give the agent a sense of writing style, pace, story-telling and how plot and subplots are woven through the work. “Give it all in one go.” This includes chapter endnotes, which help identify sources the author is working with to tell the story. “Pictures bring whole things alive,” and should be included in a submission. “It’s all in the writing,” he said in answer to a question. “My reputation is sending publishers good stuff. Polish, polish, polish.” Later he added, “the larger the book the less money” because of publishing costs when agents and publishers examine proposals. Lownie added, “Titles are huge — something that pricks up the ear, grabs them” and makes an agent want to represent the author. Simple things such as addressing the agent correctly are important in e-mails. During the session, he read off a number salutations that were either wrong r inappropriate sent to him from would-be authors. Keying the agent in on a possible tie with him or her to the author’s proposed work by mentioning how they represented so and so who had a similar project is helpful. In being realistic, authors need to know although “we try to help you; we are not a social service; we want to sell books” that is the way the agency stays alive. Lownie said his agency handles 12 books a year and has about 200 authors. “It’s all very subjective” in how an agent or decides to work with an author, Sometimes, “they don’t think the project is commercial enough” and reject it. but that does not mean another agent might not accept it. Agents also are looking to sell in more than one country. Looking at university and academic presses, “this is a business for us. Occasionally we end up there,” but the profit margin is low. He encouraged authors to go directly to those presses without an agent. He warned “your interest and your publisher’s is not the same. The smaller the press, the less money” and “all contracts are not the same.” He said getting expert advice on contracts was important before signing it. “We try to read everything on that day.”His agency works through e-mail. “You should get an answer within three weeks. If you haven’t, shove them — politely.” If sending to more than one agency, be upfront about that in the initial contact and identify to whom the submission was made. He also said it was better to do no more than three at a time. To build trust, “if the book has been sent to publishers, tell me.” It’s also probably better to try agencies in the country in which the author lives. As to where to find and judge an agent, “look at their website; the better the website the better the agents. ” Publishers Marketplace at $25 per month has an extensive listing of agents with email accounts and phone numbers. [https://www.publishersmarketplace.com/]. “It tells you what agents have been selling. See who they deal with. Knowledge is power.” He also mentioned Publishers Weekly, Library Journal and Kirkus as ways to track what is going on in the industry. “You target. Have a pecking order” of agents to query. Lownie said the process of getting a book to the marketplace takes about a year once it is in a major publisher’s hands. There are two seasons — July to Christmas, many titles on celebrities designed to be bought as gift and then January to July. For authors starting out, the January to July slot “is a good place to be.” He added more books are sold online than through stores. “What you want to do is get in front of people” through social media, attending conferences, etc. “You need to go where editors go.